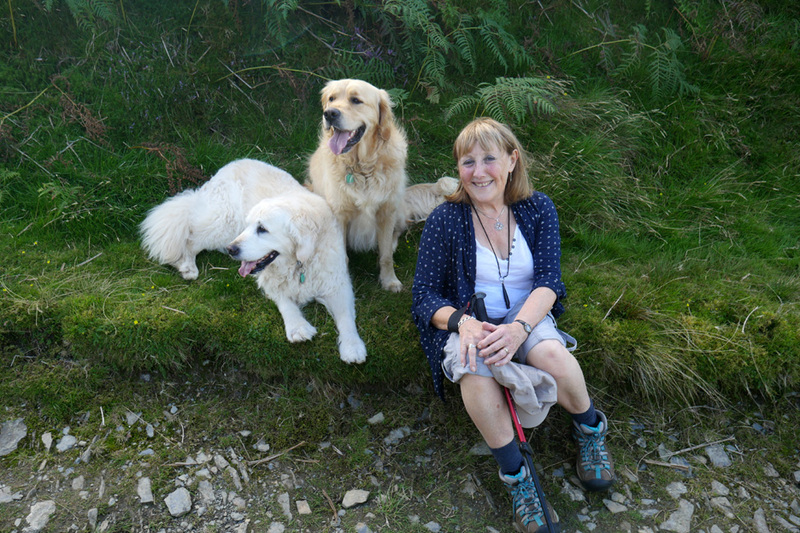 " Ling on Ling with Cathy and Alexander "
Date & start time: Thursday 30th August 2017, 3.45 pm. 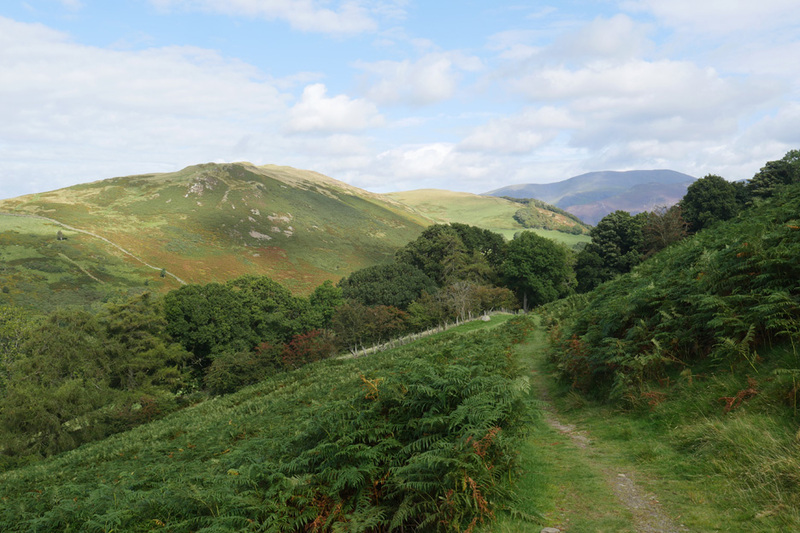 Places visited : Via the Corpse Road up onto Ling Fell, back on the Burthwaite track. 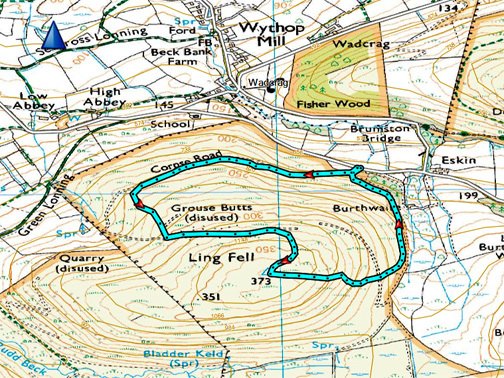 Walk details : 2 miles, 575 feet of ascent, 1 hours 25 mins. 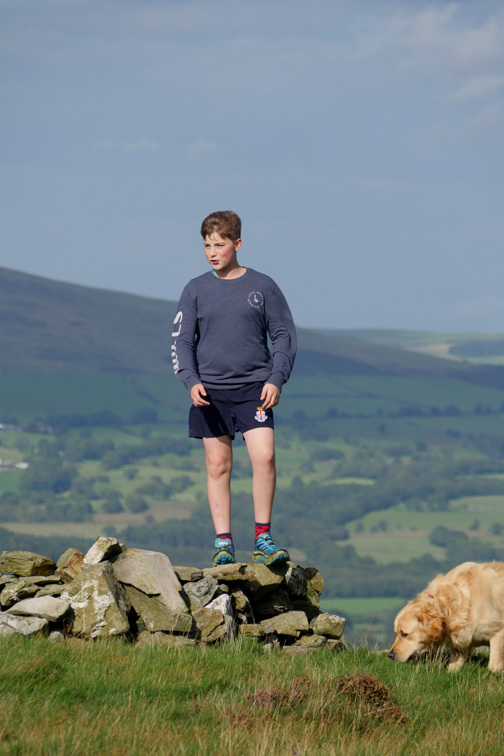 Highest point : Ling Fell, 1224 ft - 373m. 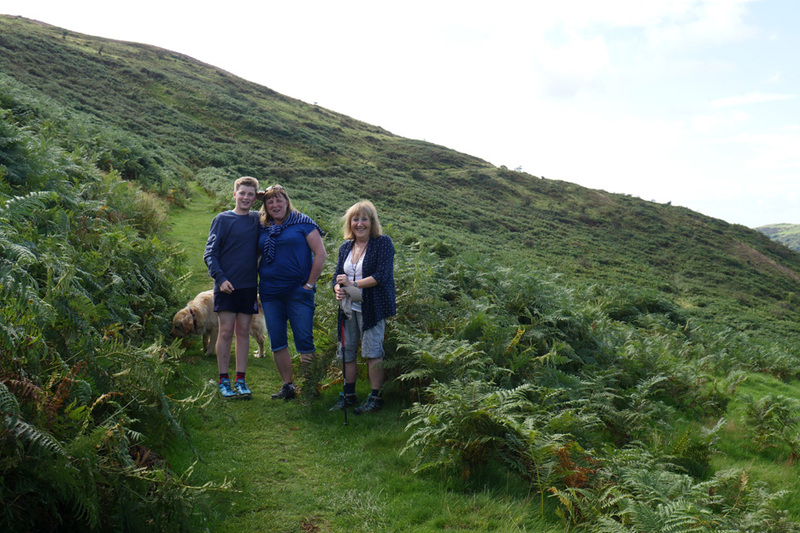 Walked with : Cathy and Alexander, Ann and the dogs, Harry and Dylan. 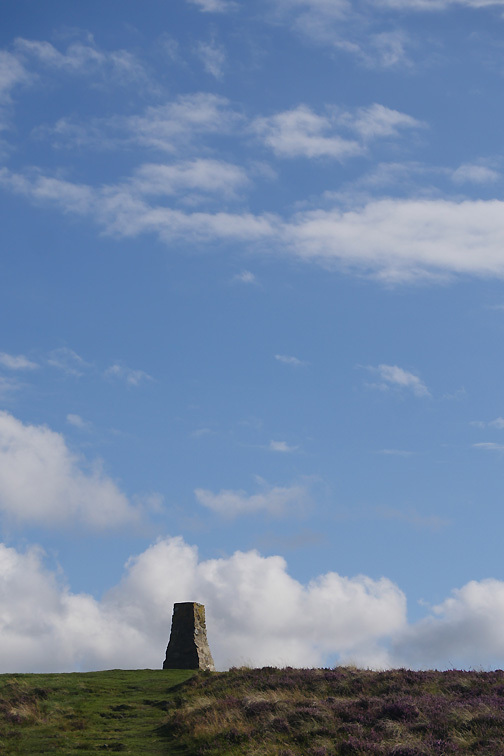 Weather : Lovely afternoon sunshine. 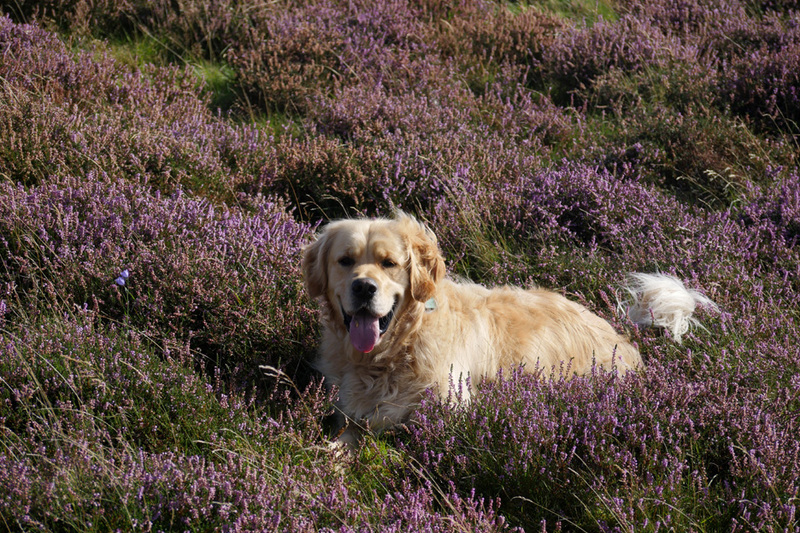 so we have the chance to catch the rich purple colours of the heather on a walk with our daughter and grandson. 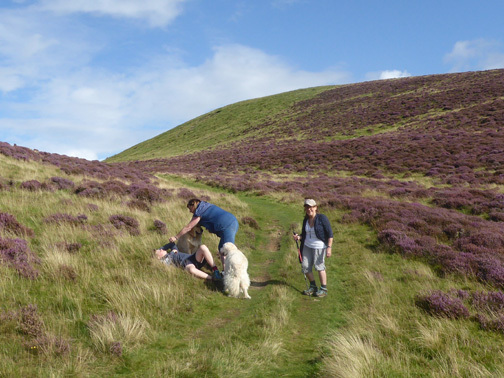 Wild heather is often known as ling, so we head for Ling Fell to see if it lives up to its name. Yes . . . the sunny weather forecast has come true . 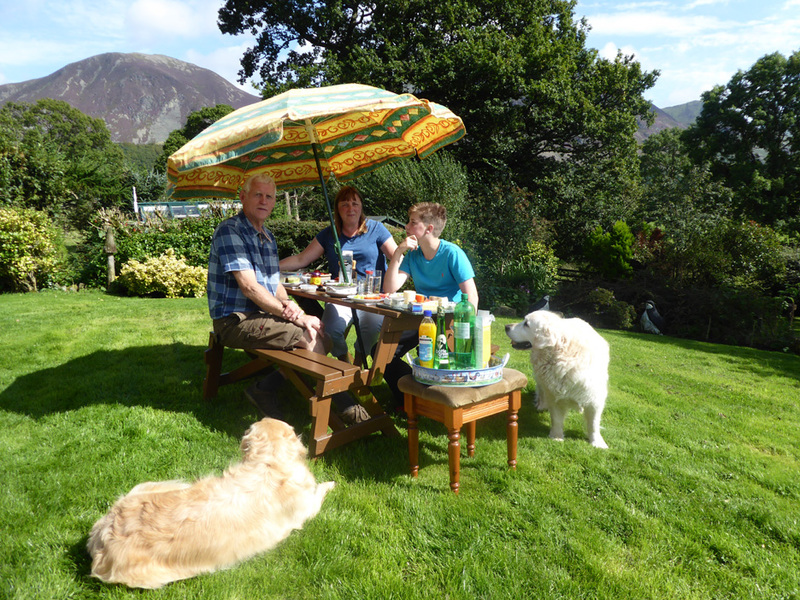 . .
but before we go our for our walk we have the opportunity to enjoy "lunch al fresco" in the garden with Cathy and Alexander. 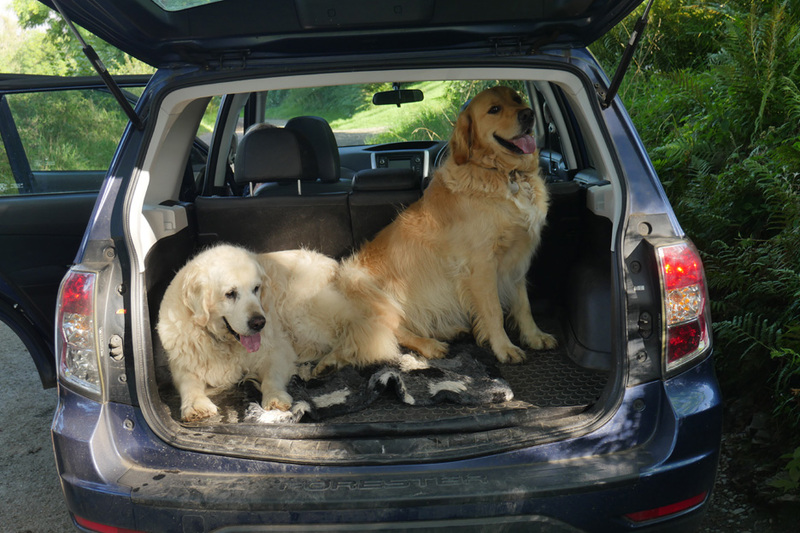 relaxing in the car just before the walk. 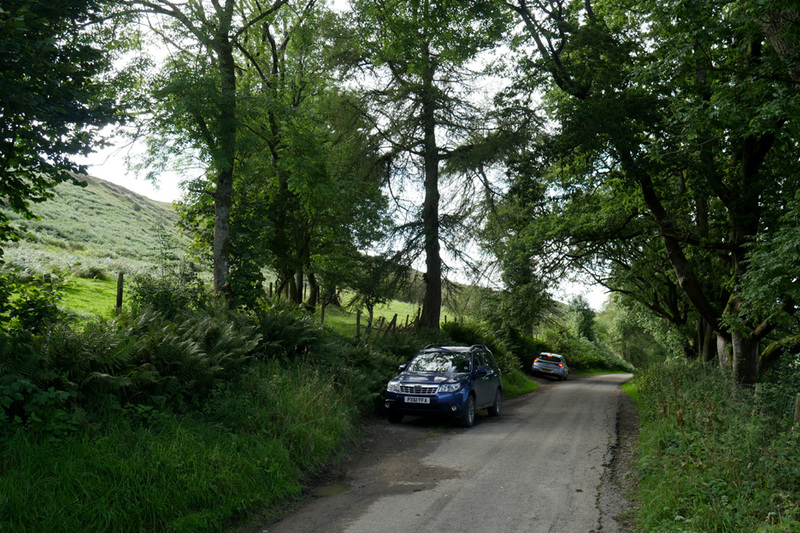 After parking on the top road above Brumston Bridge we head out on what is shown on the map as the old Corpse Road. It heads round the flanks of the fell in the vague direction of the church below Highside Farm. 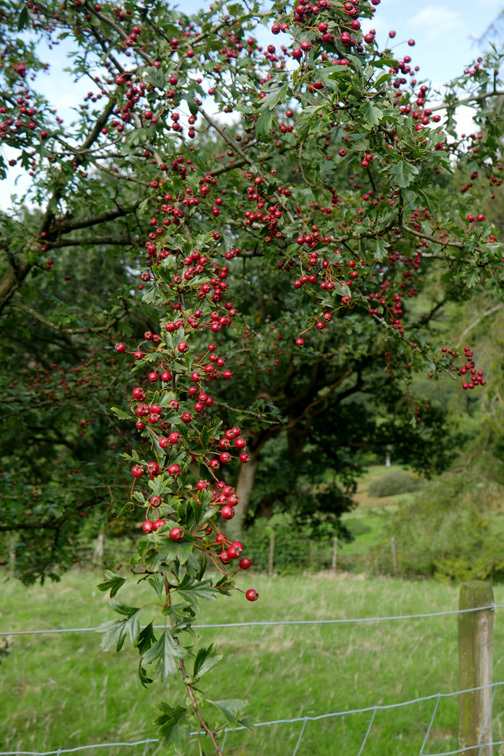 It's a good year for the berries on the hawthorn trees . . .
. . . another alongside the track with Binsey in the background. 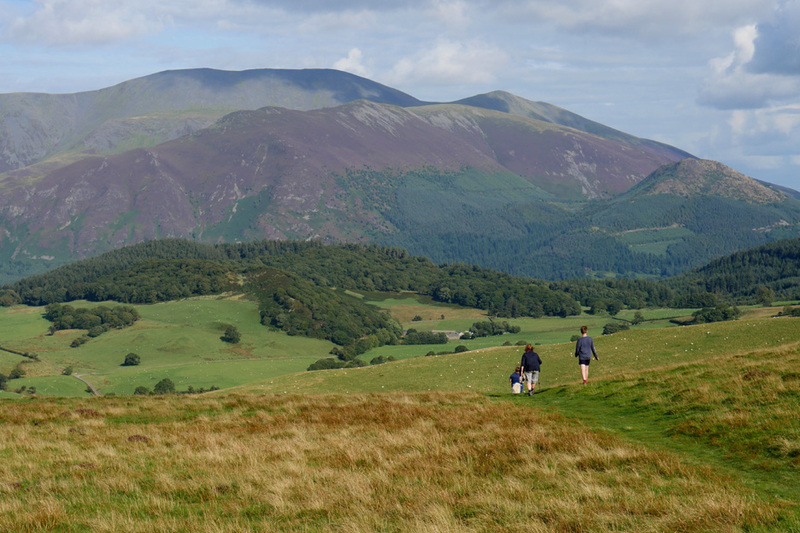 As we climb gently along the track the bulk of Skiddaw begins to emerge above the head of the Wythop Valley. 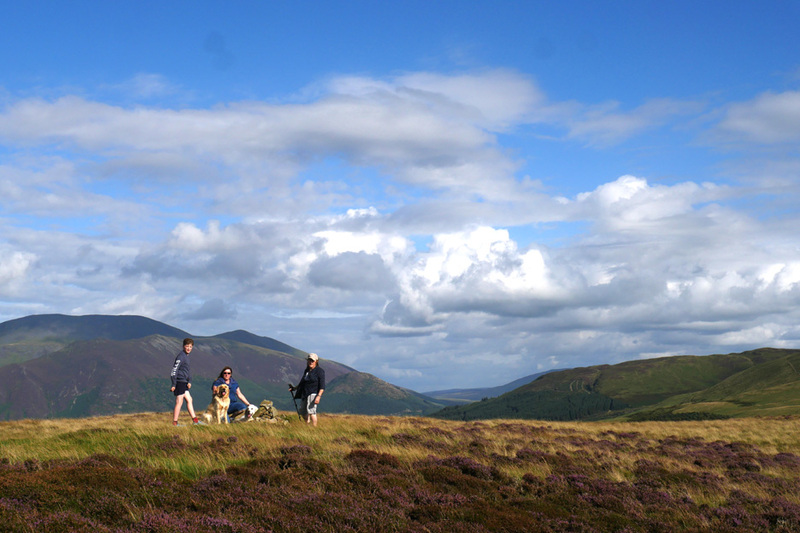 Likewise, Bassenthwaite Lake can now be seen above Fisher Wood on the west side of Sale Fell. 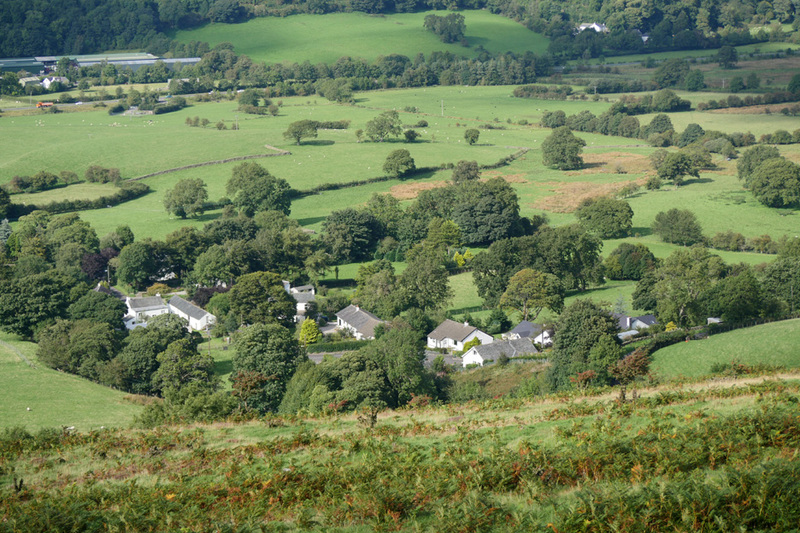 Below us the houses of Wythop Mill, the old mill itself hidden in the valley to the right. 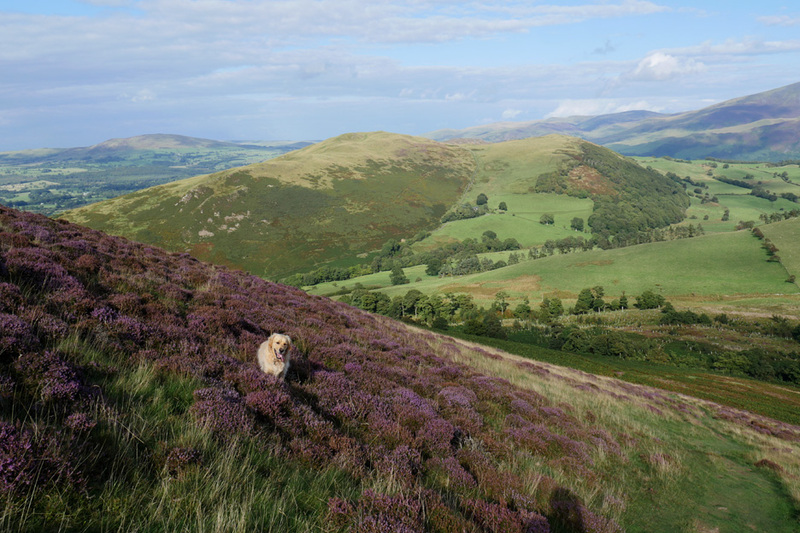 We travelled over to Ling Fell hoping to catch the colours of the heather. 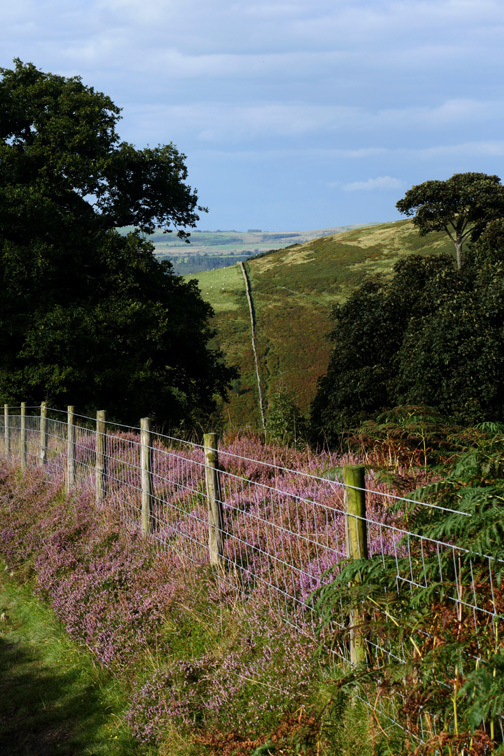 We'll not be disappointed if the rest of the upper fellside is as colourful as this section. 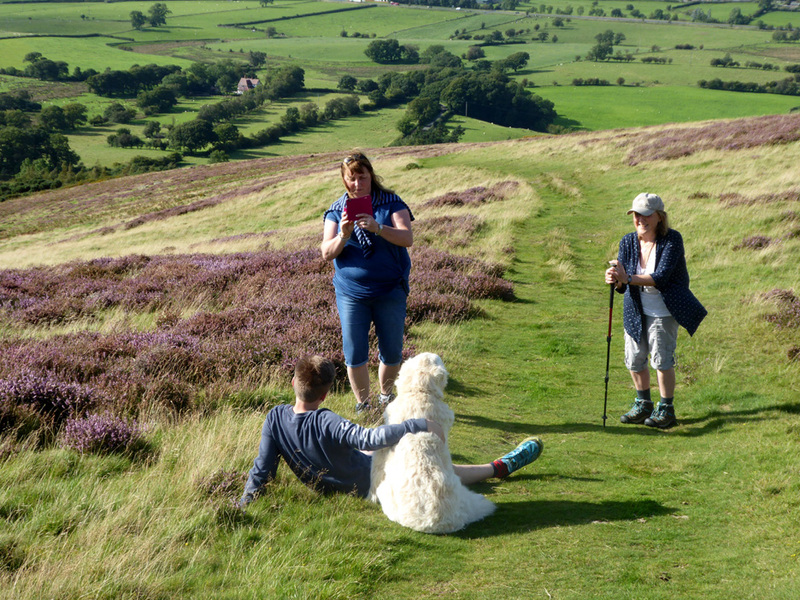 Cathy uses her phone to take a picture of Alexander and Harry. 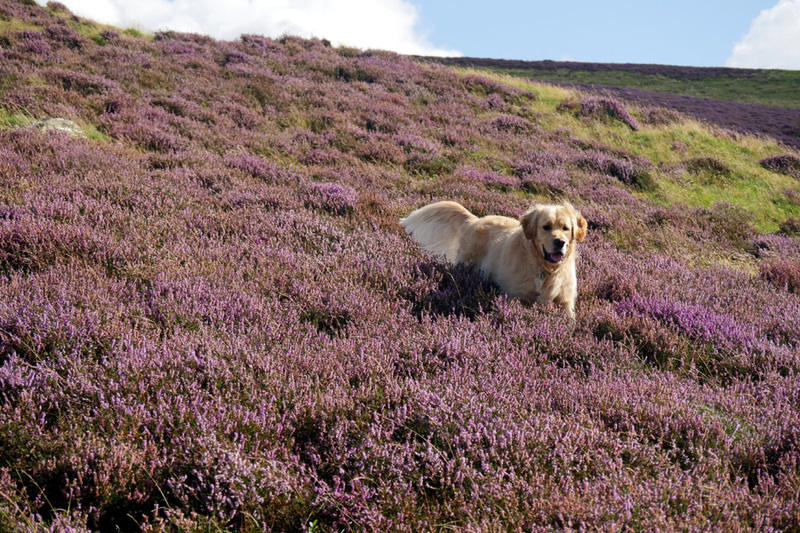 The purple heather seems to be in full bloom, the colours enhanced by the strong sunlight. 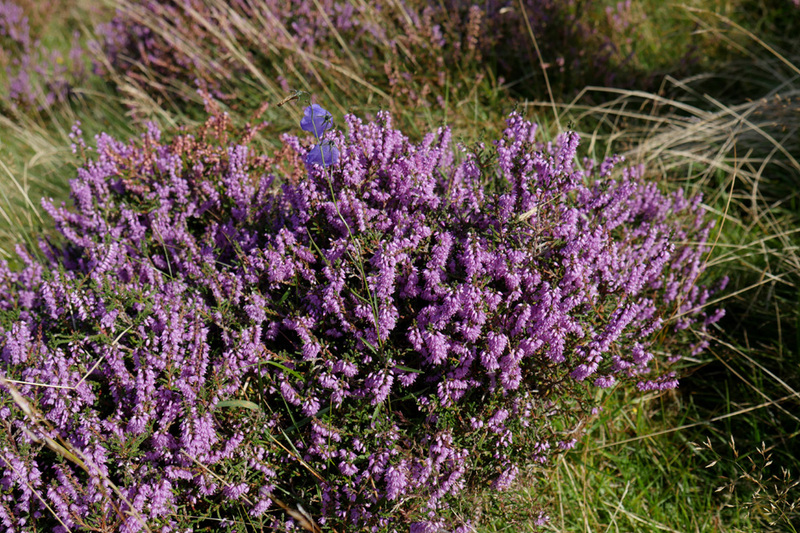 This clump of heather had a delicate blue harebell, a plant of the Campanula family growing through it. There seems to a minor altercation over the phone camera. . .
. . . the kids can't behave themselves, even when they grow up ! 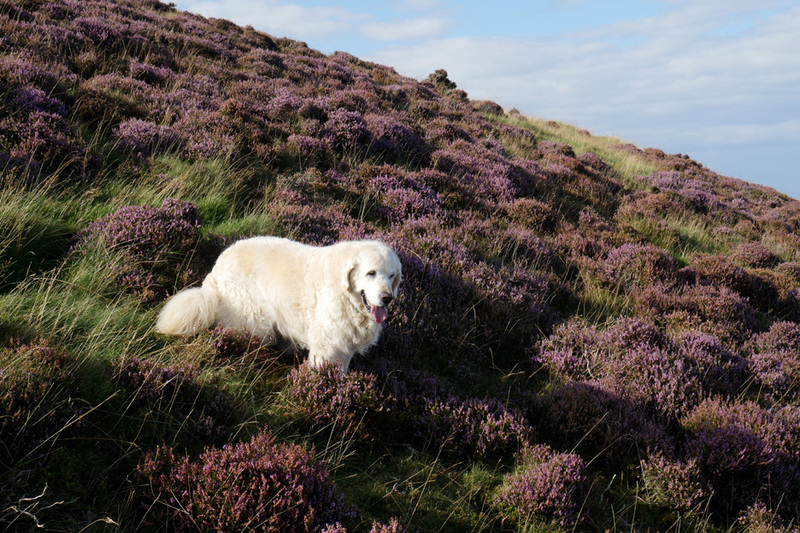 Another fine patch of blossom distracts . . .
. . . as Dylan really enjoys himself by bounding through the heather. 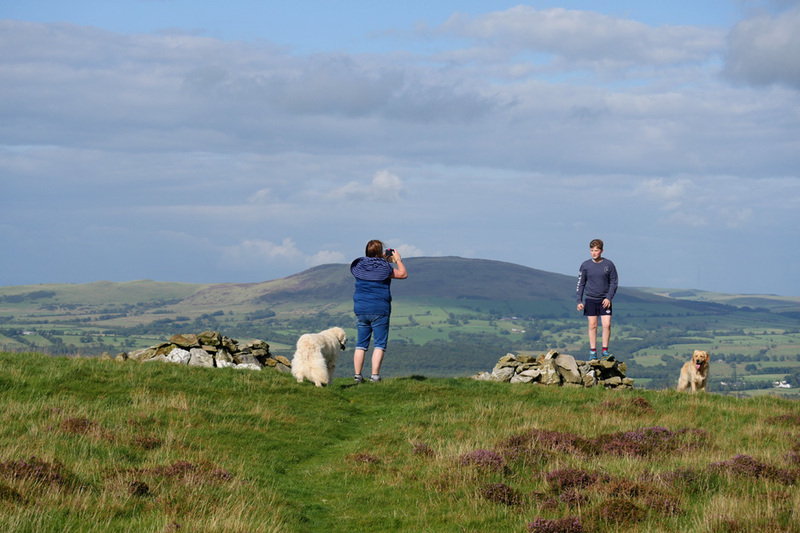 Mum rules as Alexander has his photo taken on one of the old grouse butts. Don't grandchildren grow up fast ?! Onward and upward to the pillar below the big blue sky. 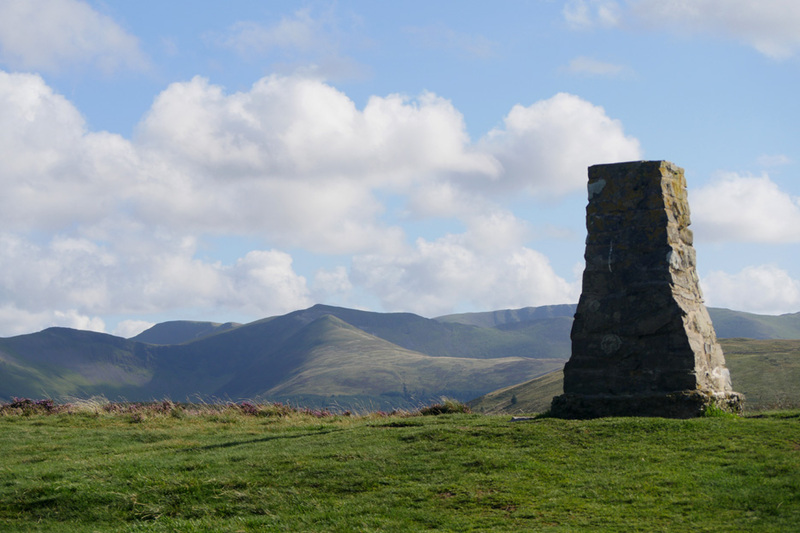 From the trig point we can see across to the remainder of the North Western Fells . 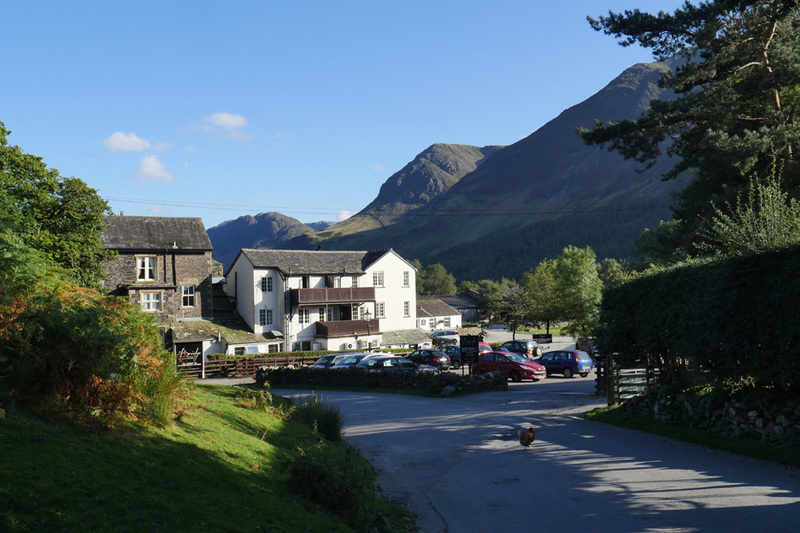 . .
Grisedale Pike, Eel Crag and Sail, Hopegill Head and the Whiteside and Grasmoor ridges. 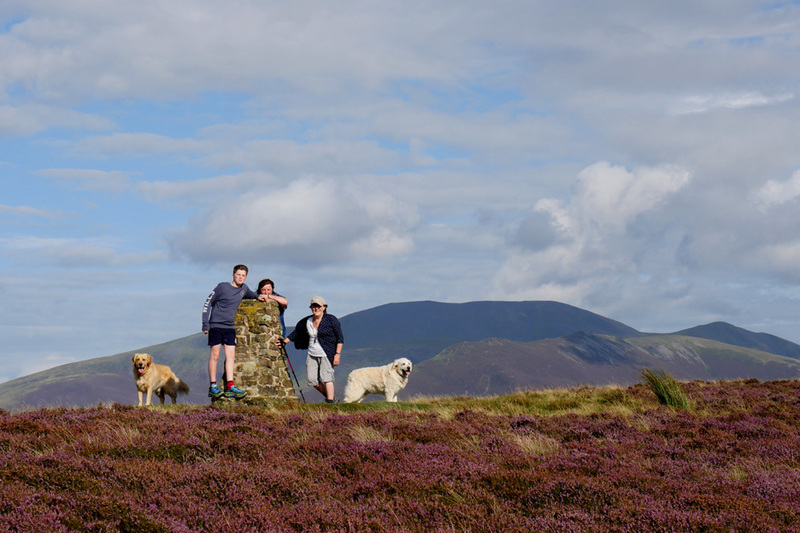 I hang back to get a view of the the family at the trig point, along with the surrounding heather. 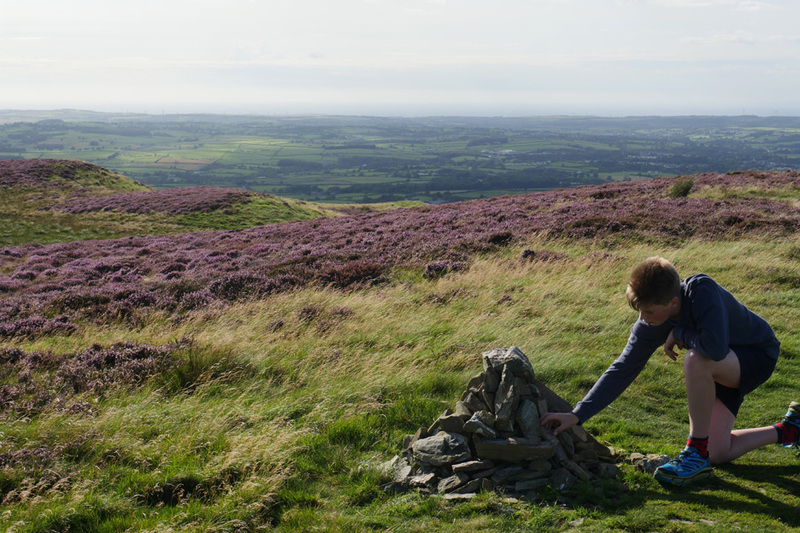 Just along the way is a small cairn denoting what is probably the true summit. 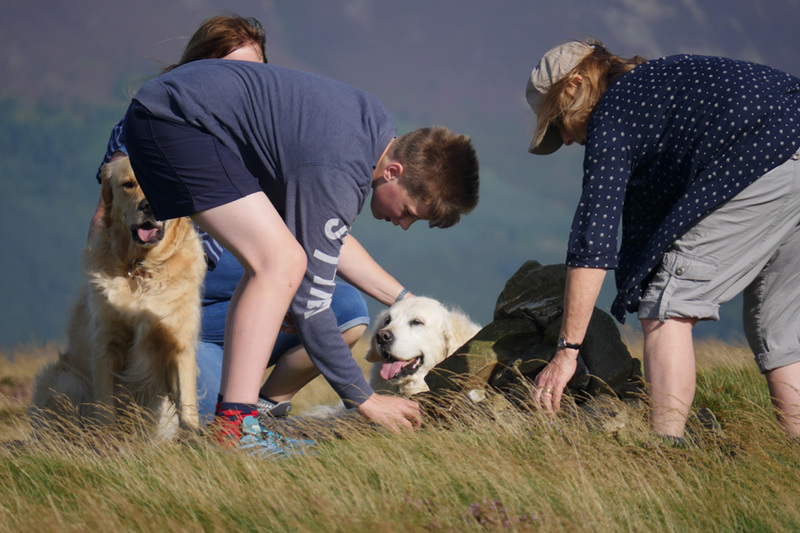 It certainly will be higher than the base of the trig after Alexander had re-built the pile of stones. From a distance it looks as if they are covering Harry with stones !
. . . a fact cleared up when you zoom out a bit for the big picture. 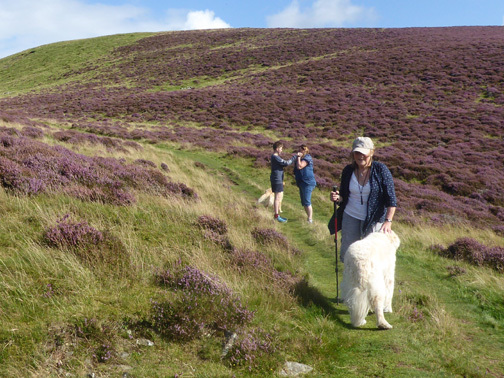 Time to be heading on down the eastern side in order to complete the circular walk. 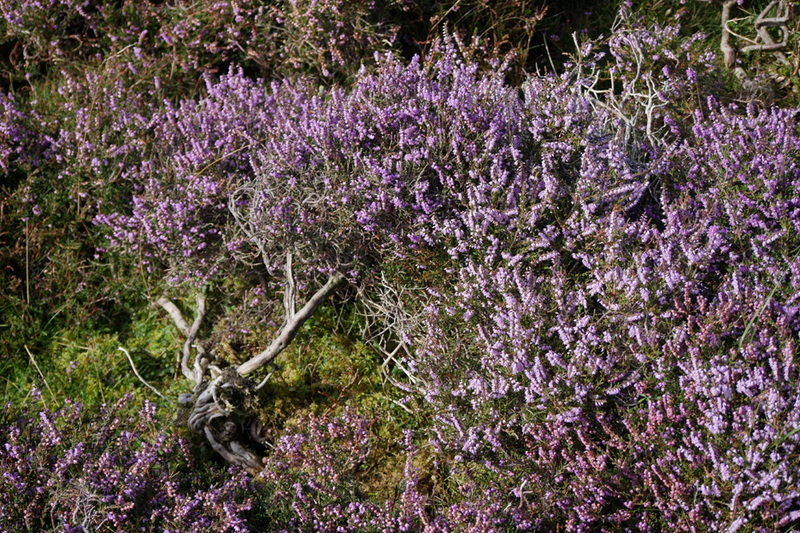 Additional colourful heather on this more sheltered side. Chance for Harry to have his purple credentials checked out. 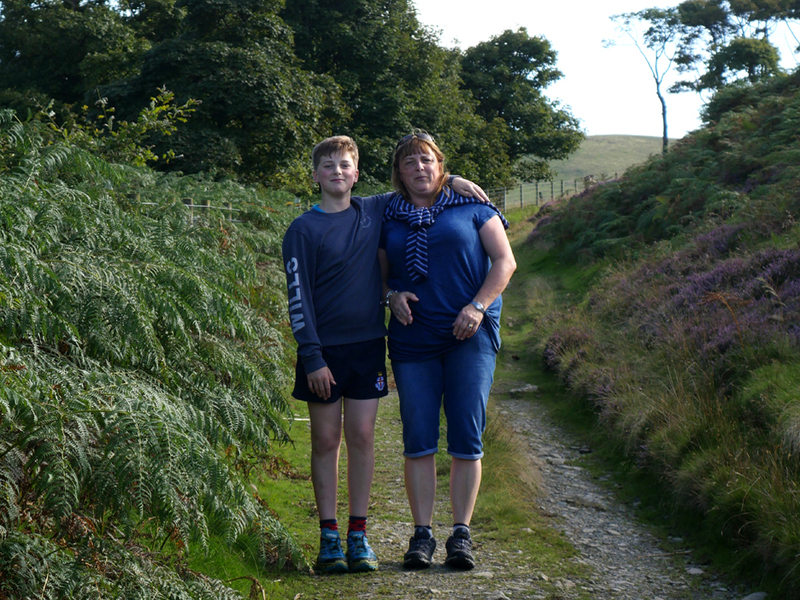 Down on the track at the bottom, mother and youngest son having a "who's the tallest" competition. Ann relaxing . . . she's always going to be taller than these two. 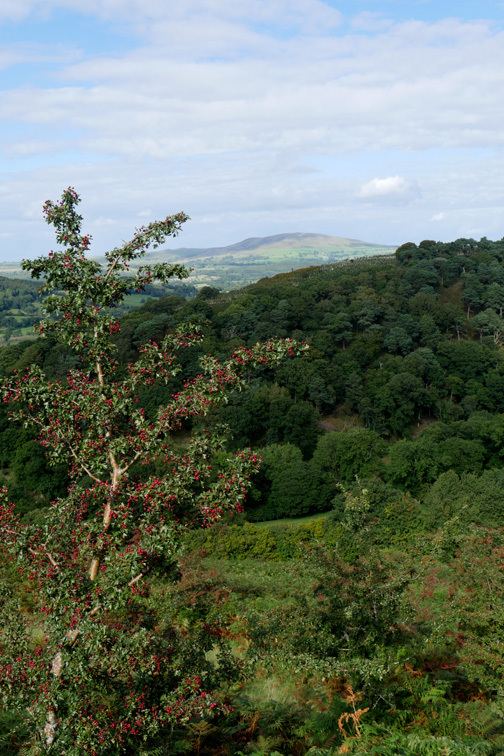 A gap in the trees allows us to view the wall up onto Sale Fell. 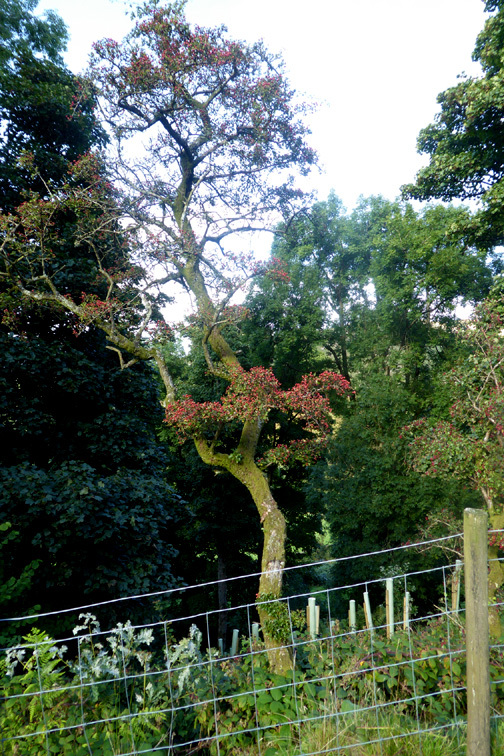 Another fruit-laden hawthorn is growing to fill the next gap.
. . . three more once we head home. One extra photo on today's walk . . .
. . . the farmers wife was more forthcoming with an answer ! This site best viewed with . . . eggs for breakfast of course.